First, I think it’s great there’s a magazine titled American Cemetery. It’s a trade magazine geared toward cemetery managers and owners, and I definitely need to subscribe. 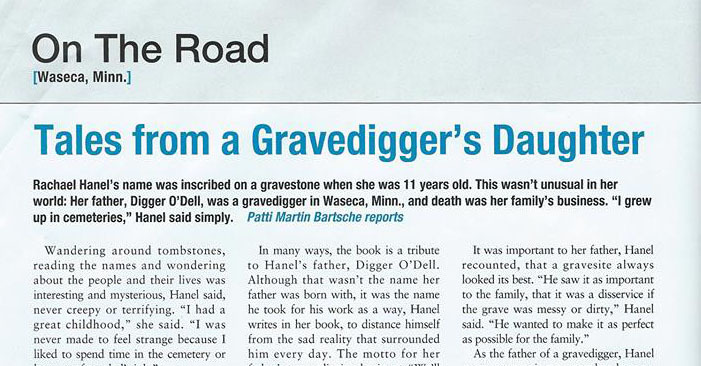 The article appears in the August 2013 issue of American Cemetery magazine. That’s great! Congratulations on the on-target press coverage!